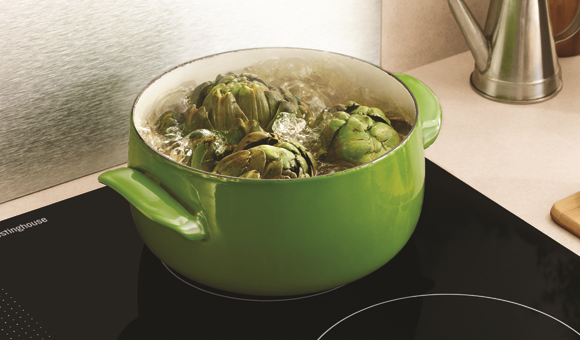 When you’re cooking, those pesky interruptions wont be a bother anymore. That’s because you can simply pause what you’re doing. 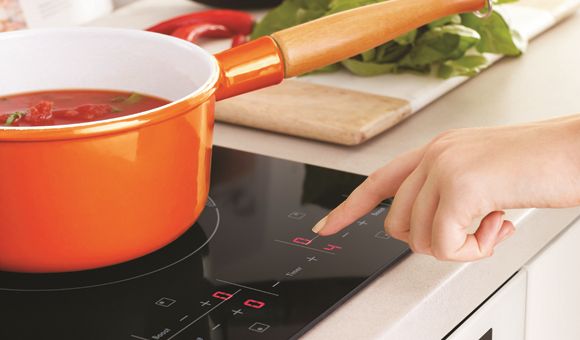 Just press the Pause icon on your cooktop and all operating zones will drop to a Keep Warm mode. And when you’re ready to resume, touch the Pause icon again and all zones will return to their previous setting. 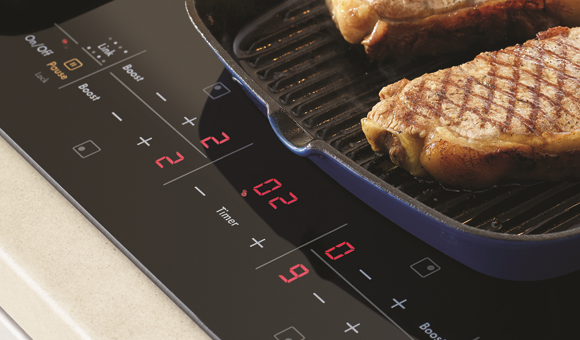 Now even when things get busy in the kitchen, you’ll never lose track when you’re cooking. This nifty timer counts down and even turns the zone off. Now you can cook the perfect steak or boiled eggs or any other meal exactly to your liking. You’ll never ruin a quick family meal again! 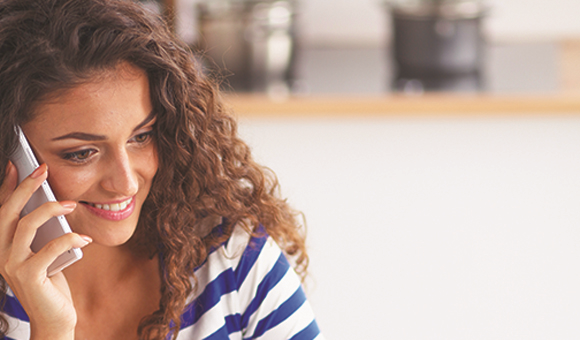 With a flat easy-clean touch on glass controls at your fingertips, you can easily control the heat. So all you need to do is concentrate on preparing the perfect meal.